What small kid I am? 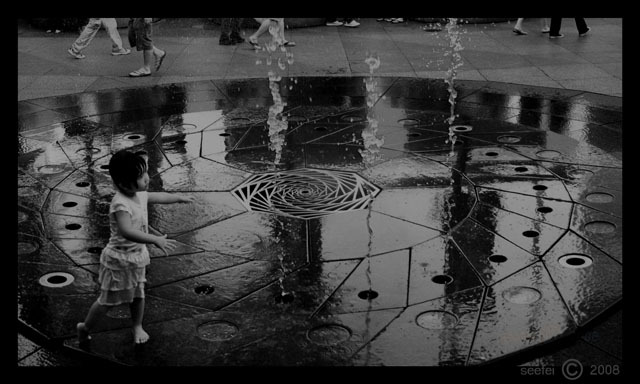 I still jumped and played on this same fountain at Bugis. But your photo is much lovelier. Yaloh. Those big longkang in the 1950s had claimed many drowning victims. My father was almost killed back then during a monsoon rain and he slipped and fell into the rushing water. A passer-by pulled him up just in time. Or else he would be swept to his death, literally. 4f: These big longkangs are still around hehehe…. but dont worry, got railing now! Most memorable for me must be the water splash back in telok Bahang in Penang. 4f: Any post on this memorable place in your blog? Frankly, never heard of it prior to this…. Have not visited the place for the last 15 years!!! There is a huge reservoir catchment being built now after Teluk Bahang area. Waterfall is still there.